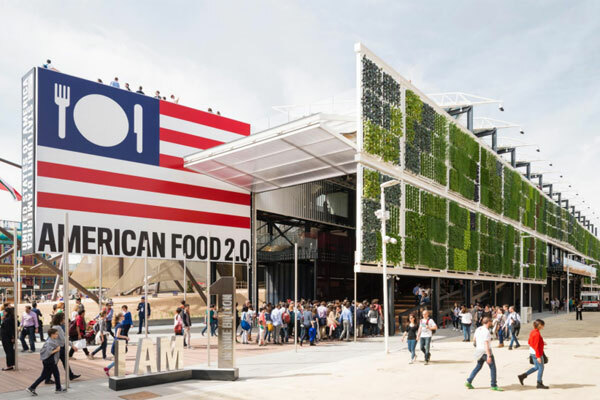 The USA Pavilion at Expo Milano 2015. Fentress Architects, a global design firm, has been selected to design the USA Pavilion at Expo 2020 Dubai as a consortium partner with Big Things Group, a world leader in building, funding and operating major expositions and public diplomacy events. The yet-to-be-revealed project builds on Fentress’ experience in the region where the “Dancing Sisters” mixed-use towers opened in 2012, said a statement from the company. The third-largest global event after the Olympics and the Fifa World Cup, Expo 2020 Dubai is expected to draw over 25 million visitors from October 20 to April 10, 2021. Dubai was selected to host the 2020 World Expo in 2013. The Expo’s overarching theme is “Connecting Minds, Creating the Future” with sub-themes focusing on Opportunity, Mobility, and Sustainability. Pavilion USA 2020’s winning design plans were based on the theme “What Moves You” and will feature highlights of American culture, leading technological revolutions in mobility, and much more. An international design firm that passionately pursues the creation of iconic public architecture, Fentress said its design for the USA Pavilion will create a powerful metaphor for the dynamism of American culture and values of ingenuity, progress, and innovation. The team behind the new concept is a consortium of top individuals and agencies who will work together to make the pavilion a showcase of the innovation, creativity and diversity that defines the US, it stated. On the contract win, Curtis Fentress, principal in charge of design, said: "Working across the US has given the company diverse perspective on the attributes and attitudes that Americans share." "We will coalesce these characteristics into a single architectural expression at Expo 2020 Dubai, representing the entirety of the US and its design prowess to an international audience," stated Fentress. Working with Colorado-based communications firm Human Design and the consortium’s numerous communications partners throughout the US and UAE, Pavilion USA 2020 will begin an international outreach campaign that engages citizens of the US and the world in an awareness journey over the next 33 months.